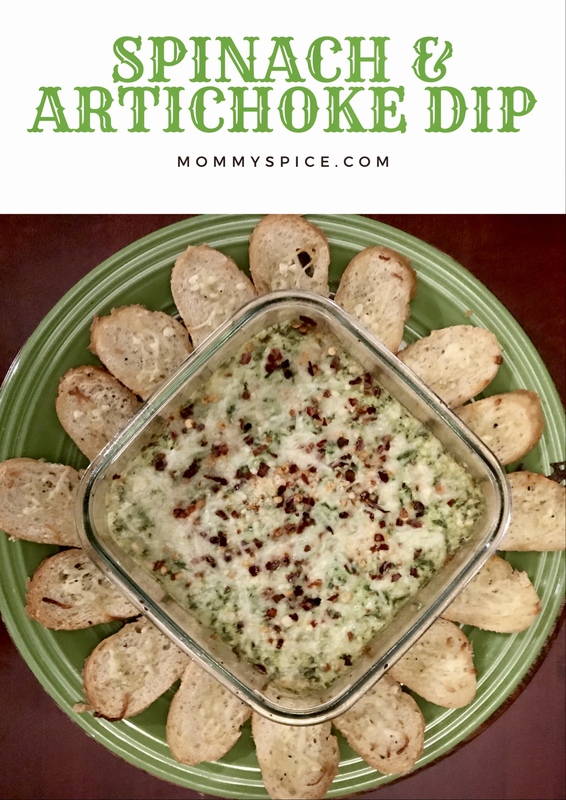 Is there a more classic party dip than spinach and artichoke? Cheesy enough to make a good spread, and loaded with enough veggies to not feel guilty about eating so much of it. It’s the perfect combo! 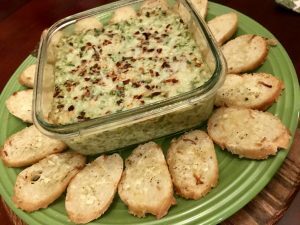 I’ve lightened my version up a good bit from your classic spinach and artichoke dip recipe. 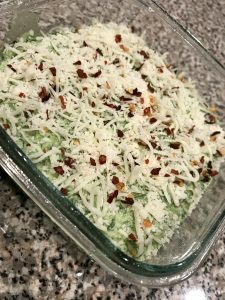 No mayonnaise or sour cream in this dip, and it is totally Keto friendly! Preheat your oven to 350 degrees. 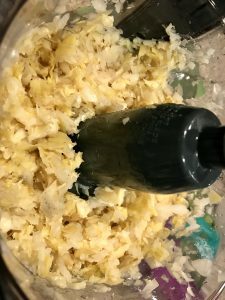 Open and drain your artichoke hearts, then dump them into the food processor. Add in half a small onion and 2 garlic cloves. Pulse 5-10 times until desired consistency is reached. If you prefer a finer dip, run food processor on high for 1 minute instead of pulsing. Next dump your artichoke mixture into a large mixing bowl. Back in your food processor dump your entire bag of spinach and pulse until all the spinach is broken up evenly. 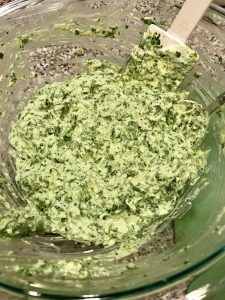 Combine spinach with artichoke mixture and stir to incorporate. You’ll be left with a really bright green mixture. 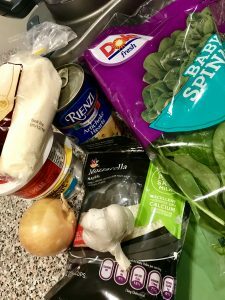 To your spinach and artichoke mixture dump in your cream cheese, greek yogurt, 1/4 cup mozzarella, 1/4 cup parmesan and a healthy pinch of salt. Mix until everything is fully combined. Pour into an oven safe glass dish, top with remaining cheeses and a sprinkle of crushed red pepper. Bake uncovered for 20-25 minutes, then serve hot with crackers, veggies, bread or pita chips. If you prefer you can dump your final mixture into a small slow cooker instead. It will take longer to heat up, I usually start with an hour on high and then adjust from there. 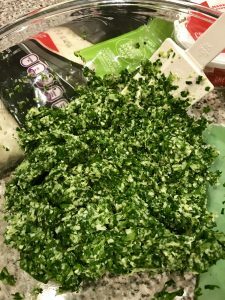 By using fresh spinach in this dip recipe you save a lot of time by not having to thaw and drain frozen spinach. If you’re anything like me, I never had the patience for all that and would usually end up with a watery dip instead. That’s why I decided to try using fresh spinach and it works beautifully while also cutting down your prep time.